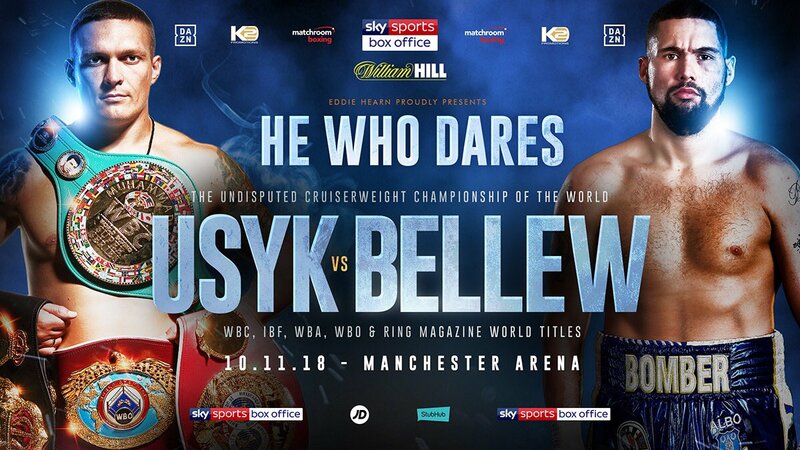 Anthony Crolla says his best is still to come as he prepares to take on Daud Yordan in a final eliminator for the WBA Lightweight World title on the undercard of Tony Bellew’s undisputed Cruiserweight clash with Oleksandr Usyk at Manchester Arena on November 10, live on Sky Sports Box Office in the UK and DAZN in the US. ‘Million Dollar’ returns to his second home for the first time since his win over three-weight king Ricky Burns in 2017 and the 31-year-old is aiming to steal the show with another memorable performance in front of a packed-out arena. A former World Champion, Crolla is eager to reclaim his WBA World title currently held by pound-for-pound star Vasiliy Lomachenko, and would welcome a huge clash with the Ukrainian in 2019, despite the prospect of heading into that fight as a huge underdog. “Daud Jordan is a very dangerous opponent,” said Crolla. “He’s been in and around World Class operators for a number of years. He’s won 38 with a lot of knockouts and lost 3. If I’m not at my best, he’ll turn me over so I’ve got to raise my performance levels and win this which will open the door for another World Title shot. “Joe thinks this is going to be a long, hard and brutal fight so in sparring we’ve tried to be smart so I’m fresh for fight night. The styles will gel and I’m sure it’ll be a great fight. Crolla enjoyed a rollercoaster ride as WBA king at 135lbs, he finally got his first shot at the title in July 2015 against Darleys Perez in Manchester but was edged out in a controversial draw. The pair rematched in the same venue five months later and Crolla took his second chance out of the judges’ hands with a stunning 6th round KO from a brutal body shot. Crolla delivered the same salvo against dangerous mandatory challenger Ismael Barroso in in May 2016 to halt the Venezuelan in round seven. That win led to a keenly fought pair of unification battles with Jorge Linares that the visitor won, but Crolla insists he can still deliver on the World stage. “I believe I graft as hard as anyone out there,” he added. “It’s in my make up to be honest, I know I’m not the most talented fighter out there, I never have been and I never will be but I know I have to make up for it with hard work. “My motivation every morning is my little boy, family and those who pay money to come and watch me. It’s a World title final eliminator in my home town; if I can’t get up for that I’m in the wrong sport. It’s a short career, these nights don’t come around too often and when I’m out I’ll miss them dearly.